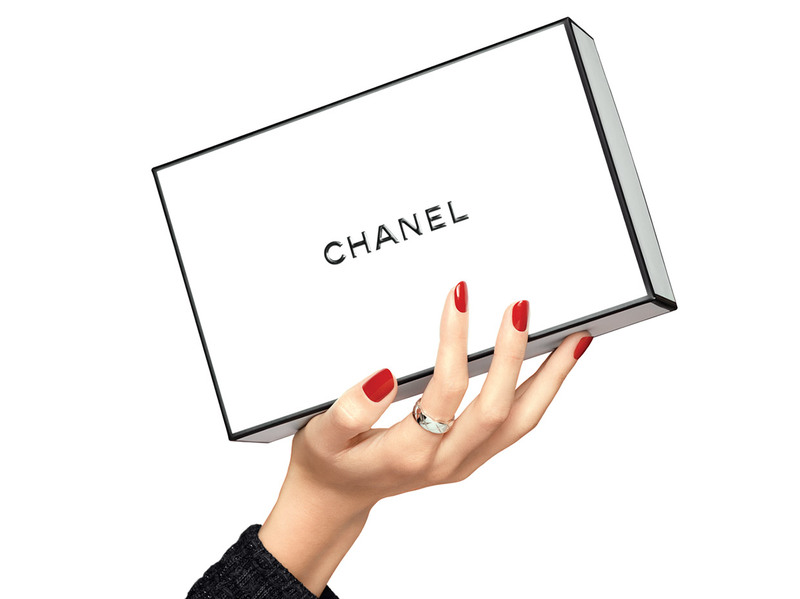 LE VERNIS by CHANEL: long-wear application. An embellishing and protective nail polish designed to make vibrant colours dazzle. Long-wearing, extra-fine and ultra-shiny, each coat offers an absolutely even and lacquered result. After washing your hands, file your nails and remove particles with a small kabuki brush. Wipe nails clean with a cloth. Apply the BODY EXCELLENCE hand cream. Push back cuticles at the base and sides of the nail with an orange stick, then remove oil from the nail surface using a cotton pad moistened with nail polish remover. Apply a thin layer of LA BASE. Then apply a first layer of LE VERNIS, folllowed by a second coat - as thick as the first - for more coverage.